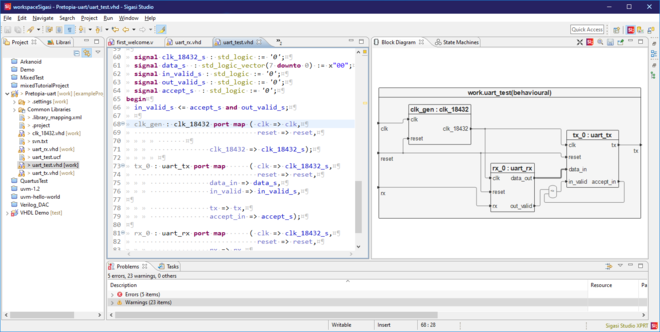 Powerful design entry tool and code browser for all your VHDL or SystemVerilog projects. Our trusted solution for mixed-language projects with powerful extra features. Our next-generation flagship product with powerful visual feedbacktools and documentation. Try Sigasi Studio, download now! Download the Features Matrix here! Stop wasting time on outdated documentation! 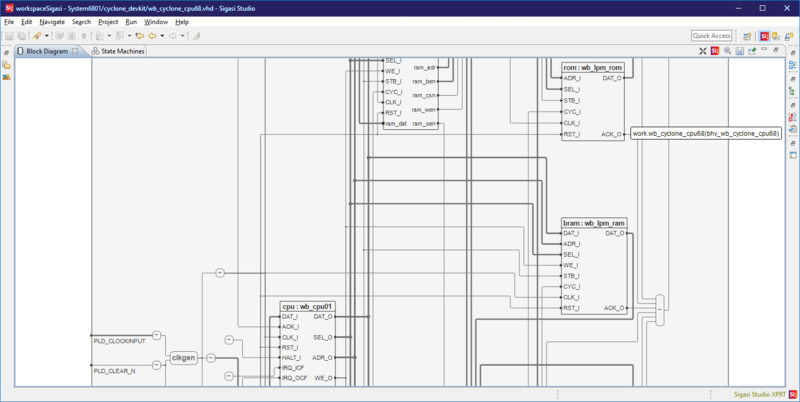 With the XPRT edition of Sigasi Studio all it takes is one push of a button and you will generate complete state machine diagrams or block diagrams. Something that normally can take up to 4 hours per drawing. But there is more! Our Premium Documentation Generator creates a PDF with all the relevant information from your project. Information will not be duplicated, so it is always consistent. Documentation is kept up-to-date automatically. And text for documentation can be written as inline comments in the code.